Spring is so close that I can literally feel it. I mean really, my face can feel it. The weather is changing which means the air is changing which means my skincare routine has to evolve. Spring cleaning is one of my favorite things to do around my home but whenever it starts, I know that it's time to adjust my nightly ritual for my face. I love spring time because I really start pampering myself more so I feel more energized and refreshed. 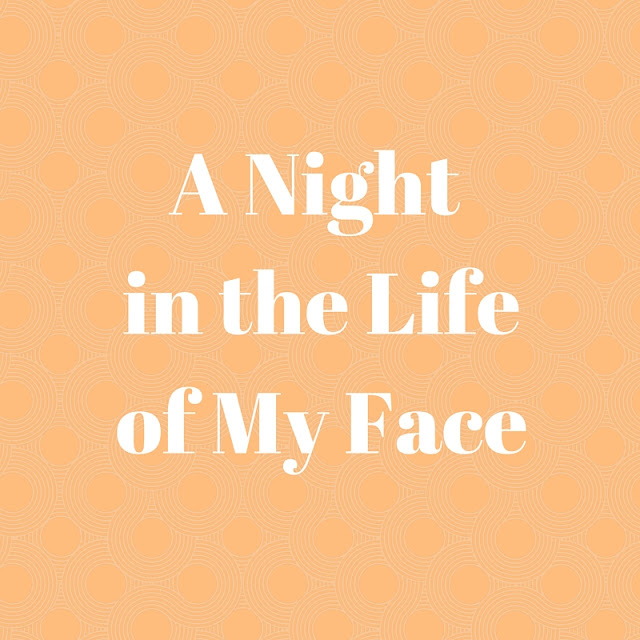 So take a look at a night in the life of my face. When I'm relaxing around the house in the evening I want my hair out of my face so I normally put it up in a little bun with a cute hair tie. Sometimes when I put my hair up I feel more ready relax so this helps set the mood for my nightly routine. 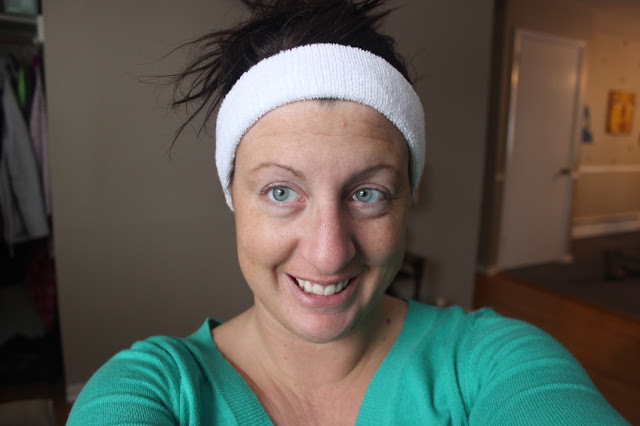 In order to keep my hair off my face when I'm pampering my face I need to use a sweatband to hold hair off my face. 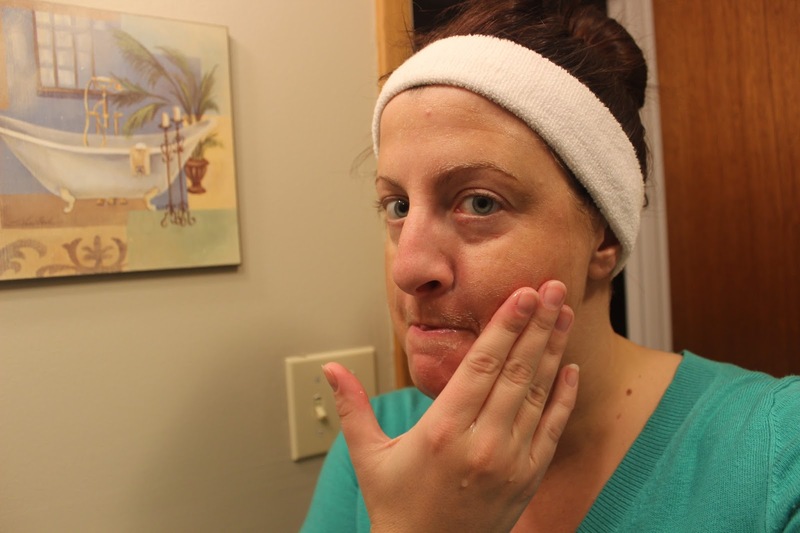 The sweatband also helps me focus more on spreading a product on my face instead of being extra careful so I don't get it in my hair. Now we get to the fun part of what I actually use on my face. 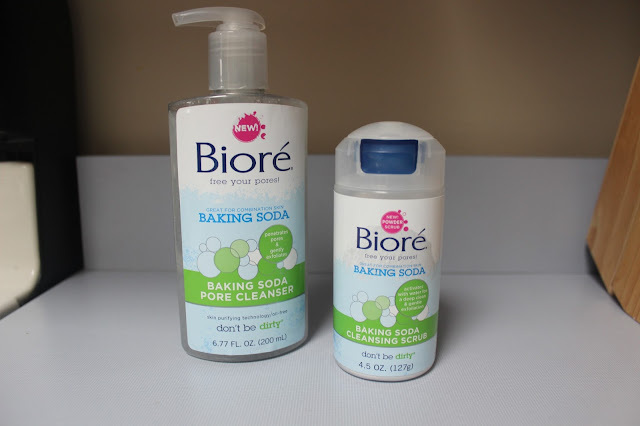 My go to products are Bioré Baking Soda Cleansing Scrub and Bioré Baking Soda Pore Cleanser. That's right, you heard me! In today's post I'm using Bioré Baking Soda Cleansing Scrub which is great for combination skin like I have. I usually get really bored when I tend to my facial routine but I love using Bioré Baking Soda Cleansers because I can watch it fizz into action on my face! Both cleansers are perfectly pH balanced and excellent for combination skin. 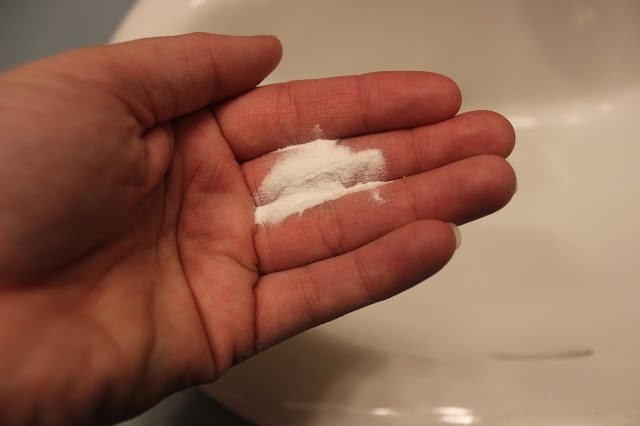 Baking soda is a natural cleansing ingredient and exfoliator so it really leaves pores clean and soft! 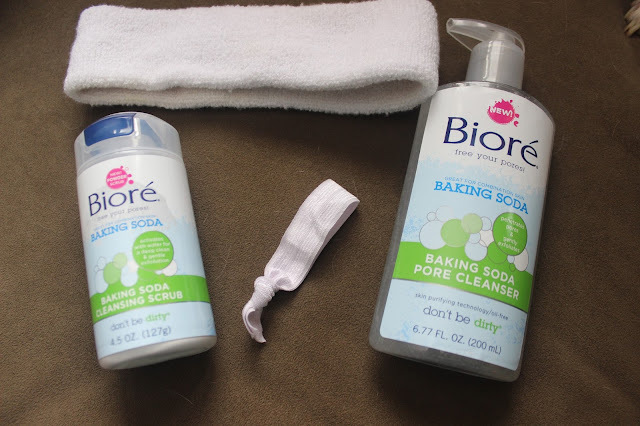 Bioré Baking Soda Cleansing Scrub is New and it actually feels like baking soda fizz! It's a powder scrub and it's activated by water! This scrub penetrates deep into pores and dissolves the dirt and oil and it exfoliates dry skin without over-scrubbing. It's a great gentle way to do it. The customizable scrub actually lets you dial up or down for the amount of exfoliation needed. Bioré Baking Soda Pore Cleanser is also new and is a dual-action baking soda formula that dissolves deep down dirt and oil and it gently exfoliates your skin. In just 2 days you can have purified pores! I honestly never thought I would love baking soda cleansers so much but I do! What a great way for my face to welcome spring! You can find Bioré Baking Soda Cleansing Scrub and Bioré Baking Soda Pore Cleanser at Walmart in the facial care aisle! If you have oily skin, be sure to check out Bioré Charcoal products! Would you be more likely to enjoy your night time skin routine with Bioré Baking Soda Cleansers? Do you have oily or combination skin? I used to wash my hair with baking soda- haha so I'm all over this! I wanna try it- love the baking soda fizzy feel! I know my daughters would love this product! My daughter has been using the Cleanser and I notice a different in her skin. Ohhh, I may have to try this! I wanna have that baking soda fizz feeling for sure!